The name of this game is wrong here in Atarimania. 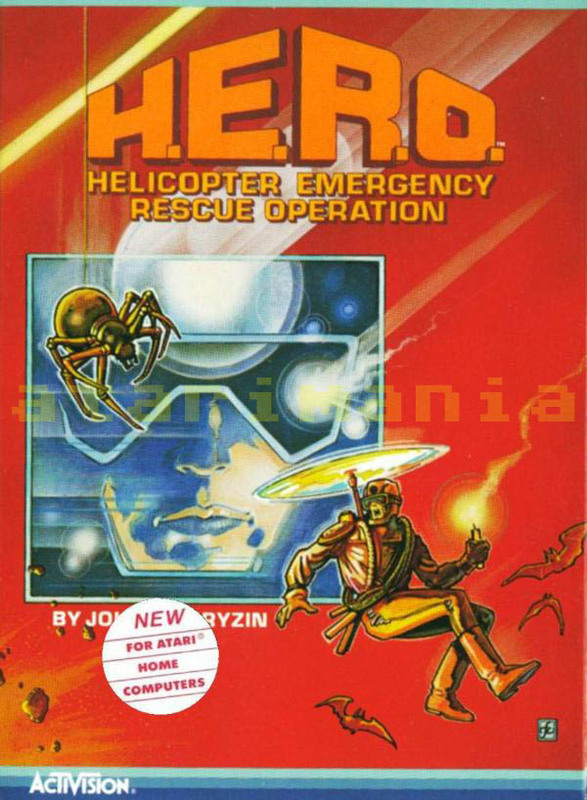 It's not "HERO", but "H.E.R.O. ", as it's short for "Helicopter Emergency Rescue Operation", if I remember correctly. So it should be one of the the first "H"-games in the list. Pretty much all H.E.R.O.-versions that I have played have a charm, atmosphere and a good and very similar playability. I could play any of them for fun without a problem. 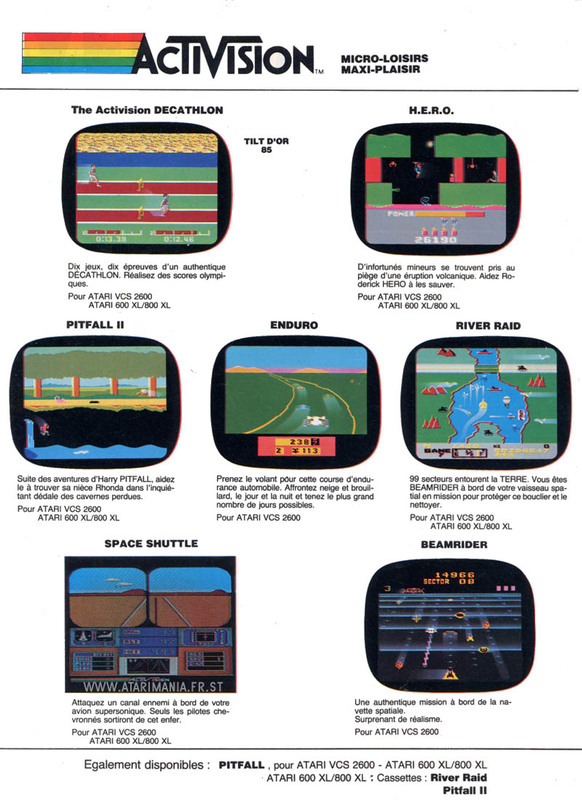 The Atari 800 XL(etc. )-version is like an upgraded Atari 2600 version. 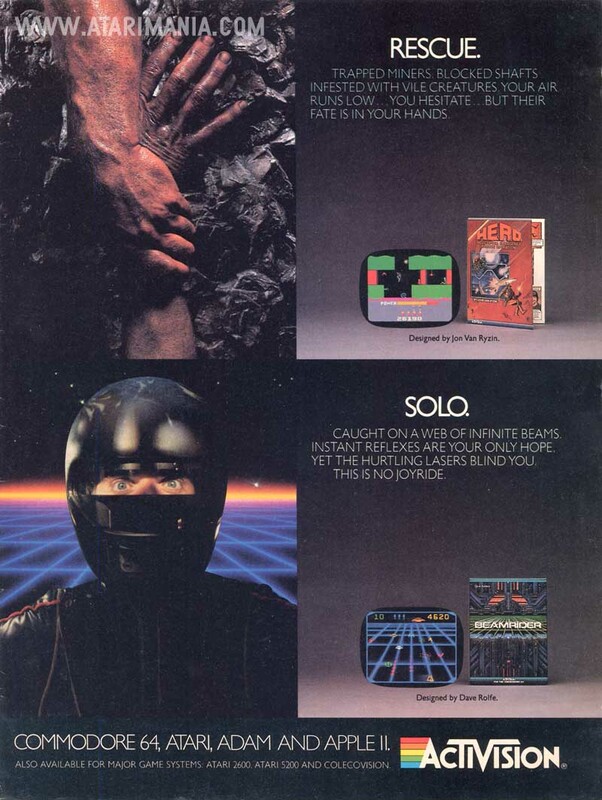 What I like about these Atari versions is the large color palette expressions and the 'ripping' sound effects. That Atari noise wave is just something the SID can never give me. The resolution is lower and the graphics style is simpler than on the C64 version, but the palette is bigger, and there are more 'flashing effects' that make the graphics in some ways more eye-pleasing. 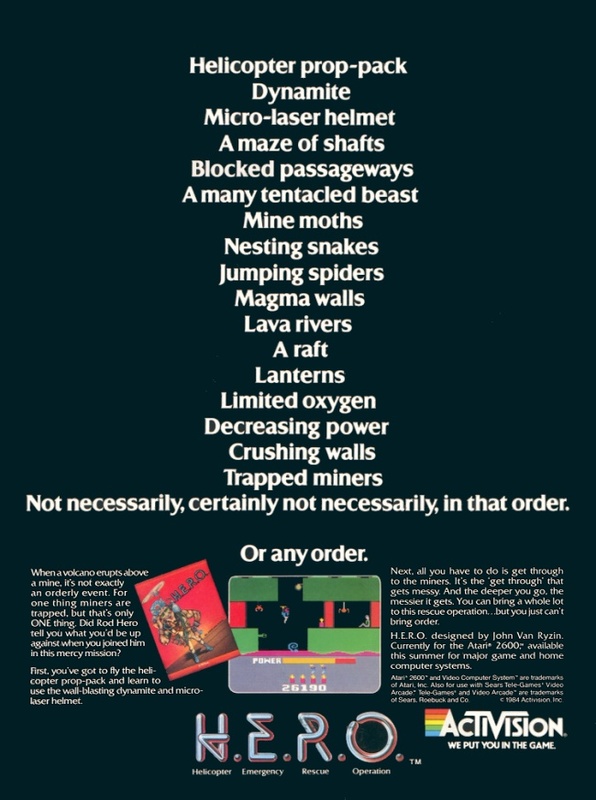 The 'lazer'-sound is better on the C64, as well as the 'counting the remaining energy and bombs' sounds, but otherwise, this is like the optimal version of the game. 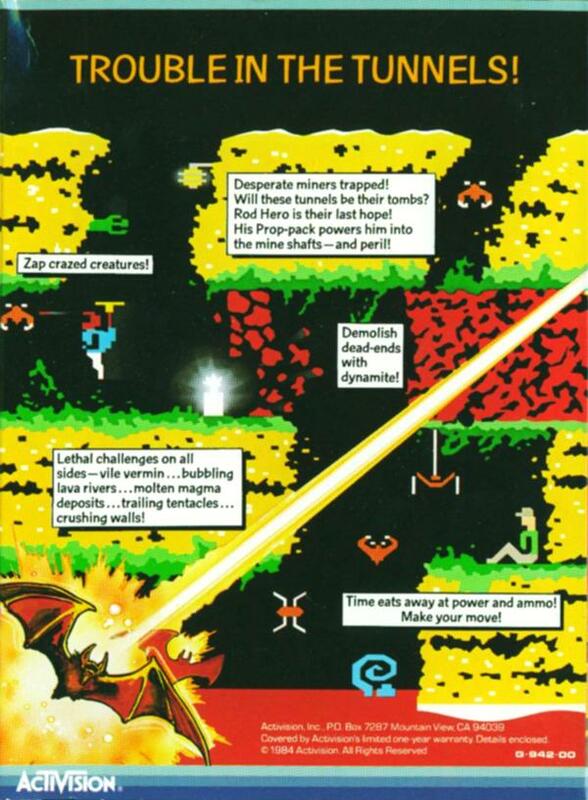 There's nothing wrong with the C64 version, it's charming, atmospheric, good-looking and has high-res graphics. But there's just something that makes the Atari 8-bit version slightly better, perhaps a bit deeper atmosphere, together with the colors. And who could get enough of that wonderful explosion sound? Like River Raid and some others, Activision really converted this game faithfully to multiple platforms, utilizing the strengths of those platforms a little bit (if not to the fullest). I guess they didn't want to risk making the games too different, but to keep the 'core game' intact. I can understand that. A great classic, that I love playing on the Atari 800 XL as well as the Commodore 64 and the Atari 2600. Is it possible to get bored with this game? In decades, that has not happened to me, yet. This game always feels fresh and playable to me for some reason. Absolutely in my top 10 favorites. I played this a lot but could never beat it...if it had an end. One of the best, should be number 1 on the top 100 8 bit Atari Games ! I love it. Didn't realise until recently that you can also SHOOT through the walls... eventuallly! Thank you John, for this game. God bless you. Oh yes, and since there aren't any instructions here, you just need the joystick and fire button to play. Move your joystick down when you're on solid ground to drop a stick of dynamite, then get out of the way fast. Love it! 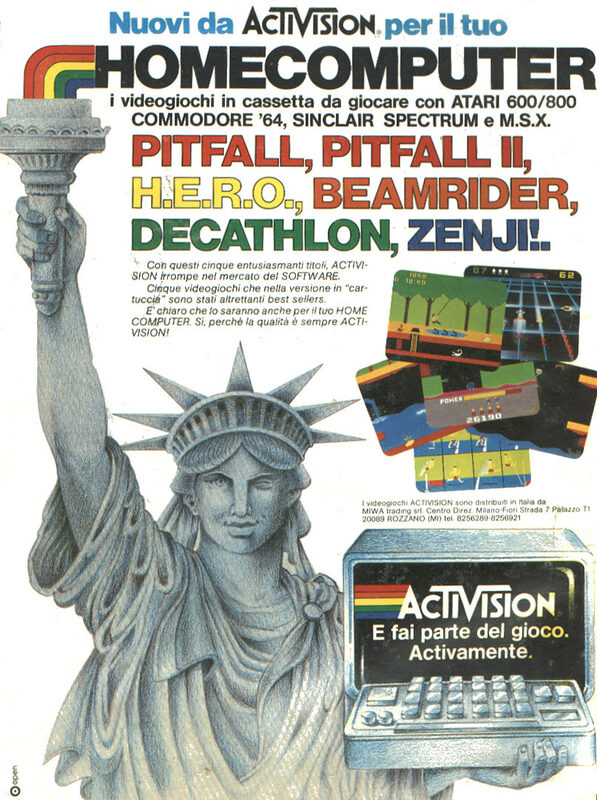 Like many Activision games it is original, colourful, and deceptively simple. You can get into it right away. Legendary game. Highly original and still tons of fun to this day. 10/10. Agree with Flash. Great game! Spent a lot of hours playing it. Must play! I can't believe that this excellent game is not higher rated. The 400/800 version in my opinion, is also the best! A wonderfull monstrous game.. Play it now! Eines meiner Top Spiele von damals. Das nenn ich ein "Computerspiel".